Dr. Patel may recommend hip resurfacing surgery if you suffer from severe hip arthritis affecting your quality of life and the symptoms have not been relieved with conservative treatment options such as medications, injections, and physical therapy. In addition, younger, larger-framed patients with strong and healthy bone are more suitable candidates for hip resurfacing surgery. 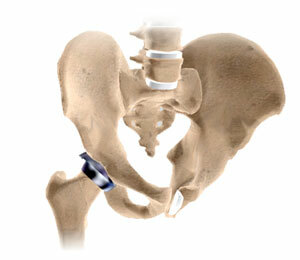 Hip resurfacing surgery is performed with the patient under spinal or general anesthesia. The surgeon makes an incision over your thigh to locate the hip joint. The femoral head is displaced from its socket, trimmed of the damage using special instruments, and fitted with a metal cap. The damaged bone and cartilage lining the socket is removed and a metal cup is fixed. Finally, the femoral head is repositioned into the socket, and the incision is closed.